If there is a culture that fascinates us because of its lively colors and magnificence, it would be the Indian one and, particularly, its weddings. What woman has not ever wanted to put on a beautiful bright red sari? 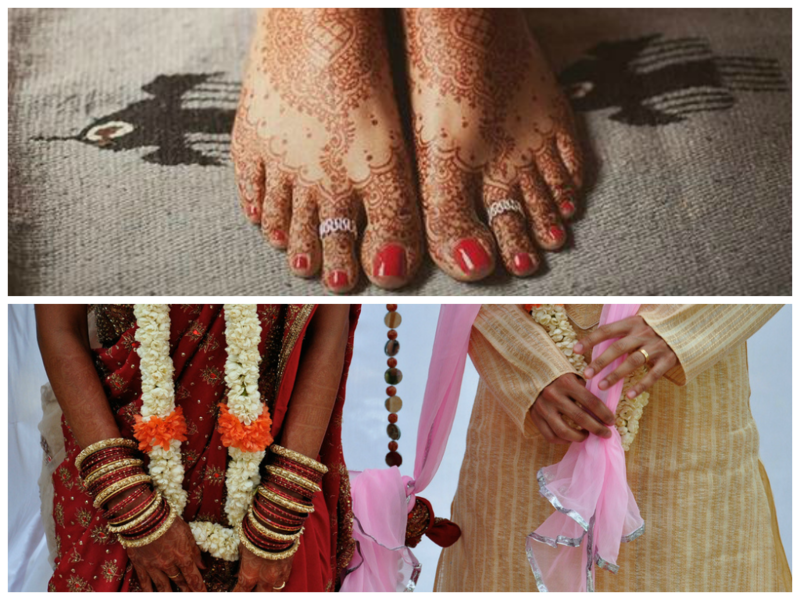 Or paint her feet and hands with henna while wearing the most fantastic jewels? Regardless of the caste to which the families belong, an Indian wedding is always synonym for a festivity that lasts various days and for a lot of food for the hundreds of guests who attend to celebrate the happiness of the couple. And let’s not forget the importance of rituals, superstitions and traditions, which can be very different according the religion, the caste and the region where the couple comes from. A Bengalis wedding has nothing to do with a Rajastán one, but both are characterized by the multiple ceremonies which have to be carried out in order to get married. What is most important, is the astrologer who picks out an appropriate date for the wedding, after deciding the compatibility of the couple. From that moment on, a lot of different rituals will take place, such as a purification session, the Henna party, the parade of the groom to the house of the bride, the ceremony around the holy fire –which symbolizes the promise of dealing with life together– or exchanging the wreaths as a representation of love and respect. All these ritual elements have an important meaning to spiritual Indian families. 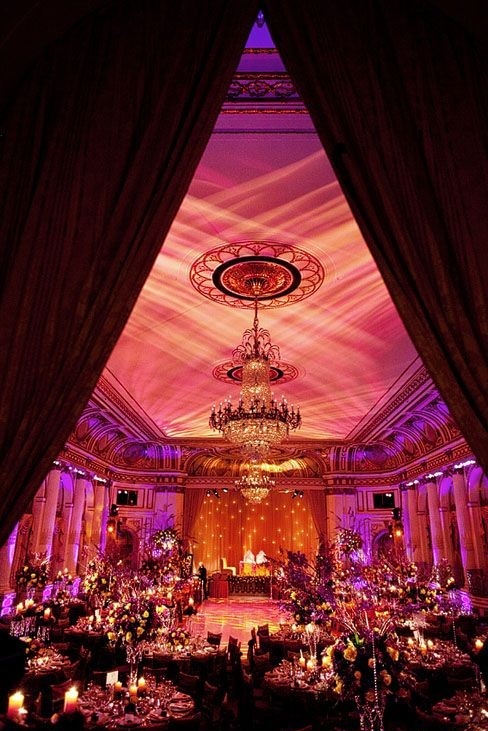 So, it is not strange that over the last years the Bollywood style has become a very popular wedding theme. A sumptuous and fanciful style that reminds you, wherever you are –such as the hall of Hotel Plaza in New York which shows on the picture”, of the grandiosity of the Indian culture.